Getting a report for another Team that the issue with Steam should now be all clear. Anyone able to check ? There was alot of complaints about the battleground coin reward and I guess nothing was done about it. The feedback was passed along a while ago. Beyond that, I don't have additional details. Gotta love 3 min response time to "can't buy emp" now if it only was as fast when it comes to all other issues players are raising around here. I had been going through and reading all the most recent Forum Threads, and just happen to see this one get created. I mentioned an easy step to try, but also referenced a need to contact our Support if the issue continued. I am aware of the issues being brought up within the other Forum Threads, and I am very active in passing that feedback to each individual Team, whether that be our Community Team, Production Team, Web Team, or on to Bluehole. You may want to try doing a Repair in your TERA Launcher through the Tools Menu, if you have not already tried that. If still no luck, you can open a Support Ticket for additional investigation. More items have now had an Elite Discount applied to them. I know I've brought this up fairly recently, but I'll go ahead and bring it up again, mentioning all of the feedback players have provided. I believe this is due to the fact that the current Innerarmor loot boxes are discounted for everyone right now, and there can only be one type of discount on a purchase at one time (The Elite price on them was set at 15% discount, but the current Sale provides a 30% discounted price). The discounts on items in the Account Services section may have just been an oversight, so I'll request that be reviewed and have the appropriate discounts added. Also, there will be a new set of Innerarmor being added on Thursday, which will have an included Elite Discounted price. So how's it going y'all, here's wondering if anyone got their roamin helmet for the dungeon completitions, I have not gotten mine back then, have been in contact with support and they said it will be in parcel post when gunner drops June 26th but nothing. Heck I even had to verify that I'm eligible for it mailing a screen of my completitions. What goes? Any info @CobaltDragon appreciate the help. I'd just suggest updating your original Support Ticket, and state that you still haven't received the Roamin' Helm despite already proving your eligibility. We ask you why we get no response on the forums, and you tell us EME uses multilpe methods, THEN when we do use those alternative methods you say the official method to submit feedback is on the forums. In all fairness, each one is used for separate things, so ultimately the answer is both. I am way more active in our EME Discord, and if you Ping me through that and I am in the office at the time, I'm usually really good about replying to all of those questions. If it's not a general question, and more a request to the Community Team, the Production Team, or something that requires some development on Bluehole's part, the preference has always been on the Forums. This way, the suggestion / request is seen by multiple players, each are able to provide feedback on the idea, and we can easily Link to the discussion that took place ( for additional visibility ) , allowing all of the above Teams to read both the suggestion and the feedback it received. We're aware of the issue and Bluehole ( TERA's Developer ) has already found the root cause. We think it's just going to require a client patch to fix (no maintenance/downtime) and we're working to get it out as fast as possible, targeting less than 24 hours. This should have been addressed during the Maintenance yesterday / this morning. I've proceeded to file a bug report for everything that is listed above. I've proceeded to update the existing bug reports, specifically for both PS4 and Xbox, mentioning that the freezing is still occurring while going into your Dashboard or Home Screen / the PS4 or Xbox Party / viewing your Messages / accessing the System Settings / and other locations. Ya. Don't forget AAHM Bug's. 1. Class with agro reset like Archer, Sorc, Reaper, Priest can make Antaroth enter in r-etarded mode and stand like 20sec for free dps. This bug dont have end and 1 archer with double energetic + double cdr in weapon can do it infinity. 2. Antaroth practice Harakiri. When he enter in Manaya's Mode and do Red Magic in 2-8% He kills himself. Tell BHS fix it pls. This make the game boring and absurd. Just as an FYI, you're reporting a TERA PC issue, within the TERA Console General Discussion section. Can you start a new Forum Thread within this section please ? Some information can be found Here. There is a Banner at the top of these Forums, notifying players of a 1 hour Maintenance extension. Although this is a feature I would like to see added into TERA, I am closing the Thread, since it was Necro'd from December 2017. Please see my response in This Forum Thread. I've alerted the appropriate Teams. The Achievement / Laurel Season not starting is something that has been reported, so it will get reviewed, and hopefully can get implemented very soon. It is now a 10 vs 10 battleground that is only available on Saturday's ( 3pm PDT ) and Sunday's ( 5pm PDT ). As for Steam notifications, there are hardly any. There's been exactly two news on Steam this year, both on march 22nd. That has been something brought up recently, so we'll begin making more information available on Steam. I've now gone ahead and removed that chunk of text from the Patch Notes. srsly i have to sign up and have this useless for me discord just to get news? You don't have to use Discord. It's just one of the areas that we post information to. I was just providing a heads up, that it is where I personally am the most active. You can definitely keep using our Forums, and as mentioned, I am pretty good about replying to pings, or to a Forum Private Message. they want me to get on discord? Which is not an EME product? I try to get information posted in as many areas as possible, whether that be here in Forums, on our Socials, on Steam, or within Discord. In this case, I posted it to Discord first, since that is where I was already talking with players, and by the time I was going to include the information on our Forums, I noticed Starsprite already had me covered with the quote. I had stated it a while ago, but I am definitely more active in all of our EME Discord channels, but certainly do want to make the conscious effort to put any important information in all the visible locations our players check, as well as be able to respond to questions when pinged. Petrax’s HP has been rebalanced on a per-class basis. Increased drops of gems (ruby/sapphire), accessory enchanting materials, and etching materials. Added dungeon leaderboards alongside the Battleground leaderboards. Lists dungeon rankings based on clear times. Currently includes only ranks for Antaroth's Abyss (hard) and Pit of Petrax. Players can open leaderboards via main menu or ALT+L shortcut. Displays top 20 players per class per dungeon and top 100 players for all classes. Players in the top 1000 can see their rank. If any party members change after the final boss battle begins, that run will not be eligible for ranking. To allow inclusion of new content, major content updates will reset the leaderboard Season for battlegrounds as well as dungeons. This update will begin Season 3 which is scheduled to conclude on Thursday, July 12 during maintenance. Obtained via upgrading from Stormcry +9 gear with new material Veilthroch. Heroic Oath gear cannot currently be enchanted or liberated (available in the future). It is now a 10 vs 10 battleground. All players will get equalized gear and appearance upon entry to the battleground. Player names will not be displayed, but anonymized to numbers such as 101 and 201. The first digit is the team; the next two, the player on the team. Your own name will display to you only (client-side). Real-time scoreboard UI will display, and rewards are distributed at the end of the battleground depending on ranking. A minimum of 300 points is necessary to receive rewards. Wins or losses do not matter; only rankings and ranking rewards. Gridiron Reward Chests are distributed depending on rankings. Rewards include various enchanting materials and Onset Masks. Different classes have different point ratios for dealing damage. Healing classes also receive points for healing. Lancers, brawlers, priests, and mystics also receive points for crowd control. Team Win/Loss achievements are no longer attainable; these will be set to legacy during a later patch. Added Infinity Masks to battleground boxes for wins or losses in Corsair’s Stronghold and Fraywind Canyon. Changed kick vote rate from 100% yes votes to 80% yes votes (excluding player to be kicked). Adjusted lose reward from 1 Kumas Royale Receipt to 3 Kumas Royale Receipts. Adjusted rewards for Corsairs’ Stronghold and Fraywind Canyon. Changed Corsairs’ Stronghold cooldown from 15 minutes to 10 minutes. Slash—Removed stagger effect from first hit. Dark Herald—Reduced the number of targets pulled to 2 in PvP. Hail Storm—Resolved issue where castanic female AoE had a different hit frequency than other races. Valkyon Wants You – Isolated Town: from class-specific weapon to one amethyst. Valkyon Wants You – Find the Captain: from class-specific weapon to one amethyst. Cultists’ Conspiracy – Going on the Offensive: from class-specific weapon to one pearl. Cultists’ Conspiracy – Some Gave All: from class-specific weapon to one pearl. Piece of Amani Horn can now be destroyed. The item, if destroyed, can be re-obtained through Red Refuge quest. Revised Tragedy and Triumph story quest at Ex Prima to respawn cage bars while progressing the quest. Apex quest now has named monsters occasionally dropping healing motes. Added Disappointed Tuwangi effect to Tuwangi Reflexes Training to restrict players from afking. Effect is applied after being kicked for AFK. Players with the effect will not receive hints. Players who did not receive hints will also not get any points. Decreased max HP increase amount from guild skill: Elinu’s Vigor V–VII. Added rewards to description on Battleground UI. Updated dungeon servers to increase stability and reduce lag. Security Update as mentioned here. Fixed issue where party voting UI for kicking offline players may not display after entering dungeon/battleground. Fixed issue where Guardian Mission UI was displayed even after leaving area. Fixed issue where player location would desync with server during certain dungeon mechanics. Delivered rewards for the Dungeon Participation Event. Adjusted the price of the Masterwork Alkahest Box in the Vanguard Initiative Shop from 1000 to 300. Instance Reset Scrolls will no longer reset entries for Ghillieglade. Guild Banks have not been implemented yet, due to needing a bit more development time. The Guild Perk Window, as well as Guild Bank system is something that would be coming in the near future. Ab heute, Mittwoch, dem 25. April, erhalten Elitestatusspieler täglich 15 EMP, wenn sie sich in TERA auf der Xbox One oder der PlayStation®4 anmelden. Zusätzlich erhalten alle Elitestatusspieler einmalig 300 EMP, wenn sie sich zwischen heute und Dienstag, dem 1. Mai um 06:59 UTC (30. April, 2018 um 23:59 PDT), einloggen. Die tägliche Zustellung wird um Mitternacht PDT (oder Mitternacht UTC auf europäischen Servern) zurückgesetzt. Um die Lieferung auszulösen, müssen Sie zum Titelbildschirm zurückkehren und das Spiel erneut betreten, indem Sie auf die Schaltfläche "Spielen" betätigen. Starting today and lasting until Tuesday, May 1 at 4 A.M. PDT, you'll be rewarded DOUBLE the Items and Rep Credits for completing Vanguard Requests. Starting Tuesday, April 17 following Maintenance until Tuesday, May 15 at 4 a.m. PDT, check your Parcel Post each week for one of Verda's Journal Volumes and collect the 5 weekly Journal Pages to unlock the secret of The Dragon Riddle. Each week you will receive one Journal Volume on the first character you log in to on each server. Don't worry, this Journal Volume is bankable so you can transfer it to any character on the server you like. You also have five Journal Pages to collect, each one holds some of Verda's dragon research that could unlock a hidden secret so read them carefully. These are also bankable so feel free to collect them on any character and then send them thru your bank to the character that needs the reward for binding all 5 pages to the journal volume. You bind the journal pages by right-clicking the Journal Volume once it and the 5 weekly Journal Pages are in your inventory. This will consume all six items and give you 20 Dragon Scales. Each weeks Journal Volume and Journal Pages are unique for that week and 1 of each Journal Page is required to perform the binding. You can only receive one Journal Volume per server per week and any additional Journal Pages you collect cannot be used to obtain more Dragon Scales. The Journal Volumes and Journal Pages will be removed from player inventory 1 week after the event ends on May 22 at 9 a.m. PDT. Did you also try relogging ? I saw the did fix an issue mentioned here. How long would said ticket be resolved in? Healers have been nerfed alot and would like to do content normally with awakening them. I don't have an exact ETA at this time. The normal time is between 24 - 48 hours, but we have an abnormal wait time right now. If you are unable to reset or continue on from your end, you'll need to make a Support Ticket. Fixed the issue that several achievements and trophies were not unlocking. If you unlocked a trophy or achievement previously, it should be awarded retroactively upon login following maintenance. Fixed freezing and crashing within Ghillieglade dungeon. This dungeon has now been re-enabled. Fixed several issues contributing to server-wide crashes. Correction du problème que plusieurs exploits et trophées ne débloquaient pas. Si vous avez débloqué un trophée ou un exploit précédemment, ceci devra vous être attribué lors de la connexion après la maintenance. Correction du blocage et du plantage dans le donjon de Clairière dérobée. Ce donjon est désormais réactivé. Correction de plusieurs problèmes généraux de plantage des clients. Das Problem, dass mehrere Errungenschaften und Trophäen nicht freigeschalten wurden, wurde behoben. Wenn Sie zuvor eine Trophäe oder einen Erfolg freigeschalten haben, sollte dies nach der Anmeldung nach der Wartung rückwirkend gewährt werden. Einfrieren und Abstürzen in der Tarnlichtung Instanz behoben. Diese Instanz wurde nun wieder aktiviert. Mehrere Probleme behoben, die zu serverweiten Abstürzen beigetragen haben. Journey with gods through their darkest hour to unlock your Apex skills. Unnamed “Dungeon” - takes the player from Elenea to Fyrmount, and spells out how the dragons were able to organize and attack Velika in large numbers. Velika Banquet Redux - the denouement of the storyline; the player replays the Velika Banquet, but this time with a happier ending. For seven classes ( Lancer, Warrior, Brawler, Berserker, Slayer, Mystic, Priest ) with item level of 439 or above, unlocking their Apex skills requires completing a solo quest line available at level 65. The player is also rewarded with glyph points to spend on the new skills. Uninvited Guests - the player sees Velika being destroyed by a host of dracoliths, helps to evacuate the city, and fights off a dracolith before being attacked by Khemadia. Mystel arrives and sends the player back to the recent past. 72 Hours Earlier - the player investigates reports of dracoliths working together to besiege Elenea in the past. The Storm Inside - the player reaches Dragon’s Landing - what appears to be a secret route through the Veil (the wall between the worlds). Here the player faces the Black Dragon and is sent to the Soulscape dungeon, where the player must defeat his/her personal demons (and acquire Apex skills). Temper - pits the player against his/her various frustrations. Self-Doubt - pits the player against his/her lack of confidence. Guilt - pits the player against his/her sense of failure. Awakened - returns to Dragon’s Landing, where the player uses the new Apex skills to defeat the Black Dragon. Then returns to Highwatch and receives a banquet invitation. One More Time - relive the Velika Banquet—this time without a dragon attack. Some returning players of the correct class, but not high enough item level, will see an Apex Mission quest item with their returning hero gear box. These Apex Missions are designed to get players to the 439 item level requirement for the Apex quest line. Reformatted skill tooltips of Berserker, Brawler, Lancer, Mystic, Priest, Slayer, and Warrior (all Apex classes). Added Apex Urgency (active skill) to all Apex classes: Increased Movement Speed. Many skills now have the subtypes Charge Skill, Rage Skill, or Unleashed Skill. Unleash - Sacrifice HP to activate Unleashed skills for 24 seconds. Unleashed skills do not cost MP, but instead sacrifice additional HP. All attacks are counted as attacks from the rear. You are immune to knockdown and stuns, and your HP will not go below 1 while the skill is active. When Unleash ends, you are “hit” with any accumulated damage. Unleashed: Dexter - Attacks with the axe in your right hand. Each hit increases skill damage and attack speed, and also increases the skill damage of Unleashed: Rampage. Unleashed: Sinister - Attacks with the axe in your left hand. Each hit increases skill damage and attack speed, and also decreases the cooldown of Unleashed: Beast Fury by 1 second. Unleashed: Rampage - Attack with both axes. Each hit increases attack speed, and also increases the skill damage of Unleashed: Beast Fury. Unleashed: Beast Fury - Charge forward and attack multiple times. Uses and consumes accumulated bonuses from other Unleashed skills. Intimidation bonus now also works on Axe Block I.
Flatten I-VIII now activate faster following Raze, Punishing Strike. Flatten I-IX now activate faster following Overwhelm. FieryRage III, IV and V no longer activate Flurry of Blows. Leaping Strike no longer requires Merciless Leap to do additional damage to Knocked-Down foes. Merciless Leap still increases damage as before. Vampiric Blow: Overcharging Lethal Strike no longer affects Vampiric Blow’s damage and healing. Lethal Strike is no longer a charge skill, and no longer depends on low HP. Tenacity, Mocking Shout, and Unchained Anger have been merged into the new skill: Triumphant Shout. Triumphant Shout recovers HP and MP, and also adds a stagger effect to players. Evasive Smash no longer gains damage based on the level of the charging skill interrupted. Raze now also activates faster following Combo Attack, Thunderstrike, and Cyclone. Unbreakable is now an Unleashed skill (see Unleash, above). Intimidation now also grants MP replenishment. And immunity to push-back from monsters, except for certain special attacks. Flying Kick - Leap 7m forward and deliver a spinning back kick. When used after other skills, Flying Kick moves you an additional 6m, and deals more damage. A successful hit reduces the cooldown of Rhythmic Blows by 10 seconds. One-Inch Punch - Stuns an enemy, deals massive damage, and has a high probability of knockdown. Rhythmic Blows - A flurry of punches ending with an uppercut to knock targets into the air. Concentrate - each perfect defense increases damage to One-Inch Punch and Haymaker. Self-control - increase damage when Rage is 75% or more. Haymaker: Acceleration - Haymaker increases speed of One-Inch Punch. Punch added text: Successive strikes do more damage, up to four hits, with the fourth hit dealing substantially more. Jackhammer reduces enemy endurance 1% upto 8% (instead of 1.5% upto 12%). Carving Piledriver glyph doubles crit chance. Divine Wrath consumes MP instead of Rage. Super Leap - make a superheroic leap over enemies and smash the ground, knocking targets into the air. Guardian Barrier - open a wide movable shield that reflects damage to protect you and allies. Divine Protection - 10 second shield for you and allies. Stand Fast II - Player can now move while blocking. Unwavering - more resistance to push-back from monsters. Onslaught replaces 50% damage with frontal block effect. Onslaught now casts faster when chained from Combo Attack, Shield Barrage, Shield Bash. Challenging Shout‘s Unwavering “You are immune to push-back from monsters, except for certain special attacks.” is now a separate passive skill. Challenging Shout range and targets increased. Challenging Shout now adds a Chain Mark effect, for Chained Leash. Chained Leash when used right after Challenging Shout, grabs all targets hit by the shout. Guardian Shout reduced cooldown to 2 Minutes and removed Energetic Glyph. Adrenaline Rush removed increasing Attack Speed effect. Rallying Cry increased number of targets. Shield Bash casts faster after Debilitate. Shield Bash will queue during animation of other skills, regardless of chain. Lockdown Blow casts faster after Shield Barrage or Debilitate. Lockdown Blow will queue during animation of other skills, regardless of chain. 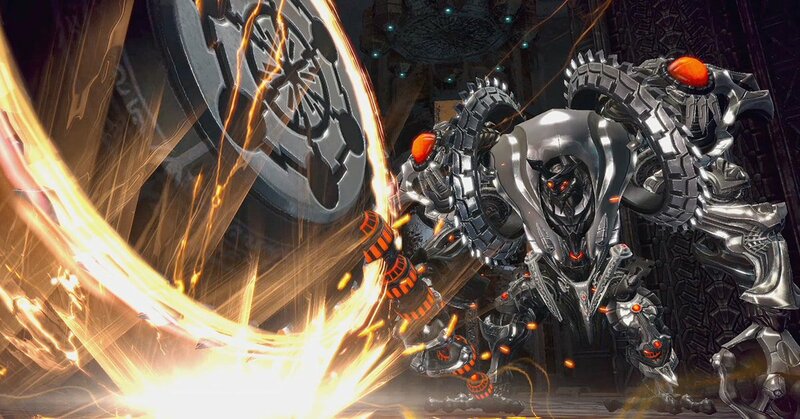 Spring Attack can chain from first hit of Shield Barrage or Lockdown Blow. Wallop can chain from first hit of Shield Barrage or Lockdown Blow. Carving Wallop now doubles Crit Chance. Summon: Thrall Lord - Summons a super thrall which deals damage to nearby enemies. Thrall Augmentation - While activated, all summoned thralls grant beneficial effects to nearby allies. Augmented Thrall of Protection: Grants a shield that absorbs 30000 HP for 12 seconds with immunity to knock-down and stagger while the shield is active. Costs additional 340 MP. Augmented Thrall of Life: Removes harmful effects cast on nearby allies. For 5 seconds, increases Movement Speed in combat by 10, and heals 1.5% of maximum HP and replenishes 10% of maximum MP per second. Costs additional 700 MP. Augmented Thrall of Vengeance: Increases Power by 15 for 12 seconds. Effect ends if knocked-down. Costs additional 700 MP. Augmented Thrall of Wrath: Increases Crit Power by 0.6 times for 20 seconds. Effect ends if knocked-down. Costs additional 1000 MP. Arunic Release - Explode all motes ahead of you. Arun's Vitae and Arun's Tears both apply HP recovery and MP replenishment to allies and deal damage to enemies. Infusion Ring - The greater the number of targets who need MP restored, the less MP is given to each target. Shara’s Lash - reduces movement speed on targets after stun effect ends. Vow of Rebirth effect now lasts 10 minutes. Warding Totem adds a shield effect for 10 sec. that absorbs 7,149 HP. Warding Totem II now gives additional effect for 12 sec. : Arun’s Breath—Titanic Favor and Boomerang Pulse heal 15,000 more HP with each hit (up to 2). Titanic Favor base healing decreased to 2,182 HP. Boomerang Pulse base healing decreased to 1,951 HP. Thrall of Protection cooldown is now 50 seconds. Persistent Thrall of Life now has 20% chance to reset the cooldown. Thrall of Wrath cooldown is now 5 min. Energetic Thrall of Wrath now changes cooldown to half of that. Devoted Favor - reduce damage taken 5%, heals 100 HP per second. Enhanced Devoted Favor - immunity to knockdown, stagger, and stun, reduce damage taken 20% and heals 500 HP per sec. Edict of Judgment - boosts group members’ power by 20 and crit factor by 30. Hits are counted as from the rear. Limits caster to only use Holy Burst and Divine Charge to heal. Boosts priest skills Holy Burst, Metamorphic Blast, Final Reprisal, Shocking Implosion, and Zenobia’s Vortex. Protective Response (passive) - decreases cooldowns of several skills. Expand the Flock - Increase number of targets to Divine Intervention. Devoted Favor - adds protection to heals. Fiery Escape now chains to Healing Circle. Blessing of Balder effects merged into Blessing of Shakan. Metamorphic Blast hits now gain the caster Aura of Retribution effect that increases caster’s crit rate 1.5 times. Focus Heal decreased base healing to 1219 HP. Focus Heal now chains into Healing Circle. Healing Circle MP cost increased, cooldown increased to 10 sec., decreased base healing to 3582. When used after Focus Heal, Backstep, or Fiery Escape, Healing Circle casts 20% faster and heals 25% more. Healing Circle VII also adds Devoted Favor effect onto Apex characters. Shocking Implosion classified as “ranged” skill for crystal effects. Final Reprisal classified as “ranged” skill for crystal effects. Final Reprisal casts faster when used after Metamorphic Blast, Shocking Implosion, Triple Nemesis, or Zenobia’s Vortex. Regeneration Circle decreased casting time, increased range, increase healing ticks to 308 HP every 2 sec. Regeneration Circle IX also adds Devoted Favor effect onto Apex characters. Healing Immersion decreased base healing to 3,149 HP. Persistent Healing Immersion now has 50% chance to reset cooldown. Spirited Regeneration Circle now adds 2% MP every tick. Energetic Purifying Circle now reduces cooldown by 40%. Punishing Blow - Leap into the air and slam your greatsword into the ground. Attack has a high chance of knockdown. Combos well with other high damage slayer skills. Savage Strike - A massive one-two attack that changes subsequent attacks into back attacks for a few seconds. combos well with other high damage slayer skills. Unsheathe - Charge up your greatsword for a devastating spin attack. Your swords gets larger with each level of charge. Measured Slice increases damage by 30% against airborne enemies. Overpower is now a toggle skill, giving extra damage to Heart Thrust, Knockdown Strike, and Punishing Blow. Overhand Strike has 100% chance to crit airborne enemies. Persistent Overhand Strike now has 70% chance to reset cooldown. Empowered Whirlwind now increases damage by 10% for 4 sec. Keen Knockdown Strike now doubles crit factor. Eviscerate now knocks monsters up into the air. Players are still knocked down. Balder’s Tears - now also recovers 67 Ragnarok points per second. Many skills now have the subtypes Toggle Skill, Edge Skill, and/or Exploits Edge. Blade Waltz - A spinning attack that cuts through enemies. Aerial Scythe - Leap into the air and initiate a spinning attack. Adds Edge, and does more damage depending on how many stacks are on a target. If you have 3 or more stacks, Aerial Scythe uses them all up. Can be used to interrupt another skill animation. Blade Frenzy - A devastating spin attack that makes you temporarily immune to enemy attacks, and summons a shadow to attack alongside you. Tempest Aura - accelerates attack speed, after 50 hits, adds shadow attack to Tempest Aura or Deadly Gamble. Ready Blades - decrease cooldowns for Scythe and Aerial Scythe. Rising Fury now mitigates 50% damage and reduces target’s Movement Speed by 50%. Torrent of Blows generates maximum of 1 edge each use. Vortex Slash now can cast without Evasive Roll. In Defensive Stance, Vortex Slash increases aggro generation. Hastened Vortex Slash now increases casting by 30%. Threatening Vortex Slash now generates 100% more aggro. Energetic Vortex Slash now decreases cooldown by 30%. Threatening Torrent of Blows effect increased to 40%. Energetic Leaping Strike now decreases cooldown by 20%. Hastened Leaping Strike now iIncreases casting by 20%. Common Energetic Smoke Aggressor now reduces cooldown by 25%. Persistent Blade Draw now has 60% chance to reset its cooldown. Renamed Locked Shadsteel Strongbox to Locked Fashion Strongbox and updated the loot table to focus on fashion. It will be the only Strongbox that drops while leveling 1–57. 4 leveling strongboxes no longer drop, but ones in inventory share the same updated loot table as Fashion Strongbox. Renamed Locked Extensive Strongbox to Locked Entropic Strongbox and updated the contents. Renamed Locked Spellbound Strongbox to Locked Gem Strongbox and updated the contents. Changed Uncommon Noctenium Refiner price to 400 credits. Listed Rare Noctenium Refiner at 600 credits. Listed Superior Noctenium Refiner at 900 credits. Velik's Little Helper - A buff added to players entering Harrowhold, Ruinous Manor, and RK-9 Kennel (Hard). Buff adds 23 power and 23 endurance. Brawlers can now use gender change vouchers. Rally guild quests will now occur between the hours of 8 p.m. and 1 a.m. EDT—for west coast players: between 5–10 p.m. PDT. Starting Friday, April 13 at 4am PDT until Monday, April 16 at 4am PDT, Ghillieglade and Pit of Petrax will have increased drop rates as well as a jackpot for dungeon completion. The results are out ! PS4 - 9% of characters stated they are also playing TERA on PS4, and would like to group up, if anyone is available. 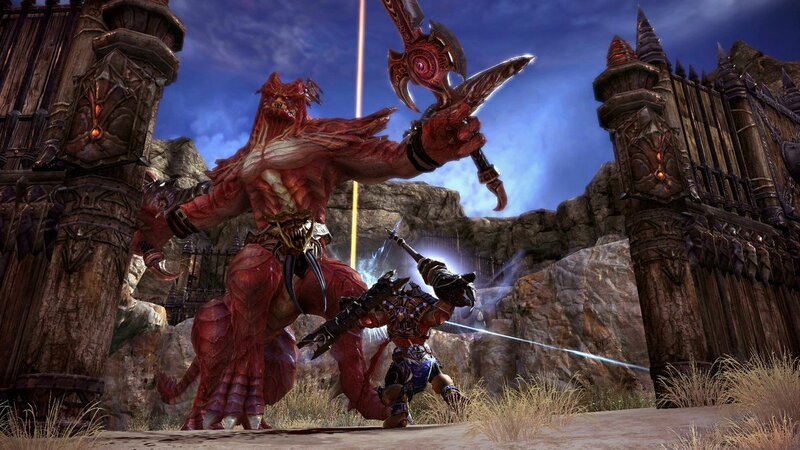 PC - 83% of characters stated that while they think TERA on Console is cool, they are are more excited for new content on PC. Stuff like the last update, Counterpunch, or the upcoming Godsfall update. Xbox - 8% of characters stated they are also playing TERA on Xbox, and would like to group up, if anyone is available. Starting Tuesday, April 10 at 4am PDT to Tuesday, April 17 at 4am PDT, you'll be rewarded a 50% increase to Item XP and Character XP for completing Vanguard Requests. A bonus 50% Character XP, and a bonus 50% Item XP. These boxes contain one random item, such as Golden Talents, Metamorphic Emblems, Superior Noctenium Elixirs, a Royal Diamond Dragon, an Azure Phoenix, or more! Starting Friday, April 6 at 4am PDT through Monday, April 9 at 4am PDT, complete the Vanguard Requests below and you'll receive a Superior Noctenium Elixir as a bonus reward for each request, up to your daily limit. Hey everybody, Cobaltdragon here, with an update on the state of TERA for Playstation®4 and Xbox One. We’ve come a long way from our first technical tests, and are working hard on many issues that you’ve brought to our attention from the Open Beta and Headstart. In the interests of transparency, here’s some of the high-priority issues in our queue. Players have reported crashing in a dungeon, logging back in dead in the open world and unable to resurrect. Worse yet, some have reported logging back into the dungeon dead, with no way to leave. We’ve temporarily disabled Ghillieglade to address freezing and crashing issues. It’s sometimes hard to access a basic resurrection in a dungeon (either in town, or from a healer or scroll), because the Neophyte Resurrection window covers up the UI. Closing the Neophyte window solves the problem, but we are working on a more permanent, and visible solution. There are occasional echoing/audio feedback issues in dungeons and caves. High level enchants sometimes don’t display success/fail messages, and the UI sometimes does not complete enchanting the item. The Elite Consumables Box and the 1hr Elite Gold Hunter Boost are currently sharing a 10 minutes cooldown, instead of having separate timers. The minimap can freeze, and will not display motion or update quest progress until the console restarts. Rest assured that we’ve reported these issues and others to the developer and they are working to find solutions. Our primary goal is to provide players with the best TERA experience possible, and we’re actively listening to all bug reports, suggestions, and feedback in Discord, our Forums, and received through our Socials. We’re focusing right now on the greatest benefit for the greatest number of players and we feel the above list represents that. If your individual issue is not at the top of our list, that doesn’t mean it’s not being tracked, so don’t worry! We’ll be evaluating the rest of our queue as soon as possible, and posting changes as they happen. We plan to remove the following items during Maintenance on Tuesday. Starting Tuesday, April 3rd at 4am PDT through Tuesday, April 10th at 4am PDT, you'll be rewarded DOUBLE the Items and Rep Credits for completing Vanguard Requests. Here is a list of the recent changes the occurred during (or after) the Maintenance on April 2nd 2018. There are quite a few other things we're aware of and working on, so be sure to check out the April 4th Known Issues Thread. > I end playing on Saravash server with a human male priest named Xim. If any one want me on his guild, i was an experienced healer on PC. That sever is not on the Xbox version of the game, that is a PC sever. You could try posing it there insted of the console forums. Saravash is one of the new PS4 EU Servers added this morning. Here is a list of the recent changes the occurred during ( or after ) the Maintenance on April 2nd 2018. We recognize that a lot of you who have been playing TERA on PC are now also playing it on Console. That's cool. We are too. We also know that one of your first priorities will be finding other players on your alternative platform who might make good guild members, teammates for tackling dungeons, or just like minded party members for beating on BAMs out in the hunting Zones. Our goal is to make the task of teambuilding easier for you, so each day you log in on PC, you'll receive a TERA Celebration Token. You can trade in these tokens for either a Playstation Launch Loot Box, an Xbox Launch Loot Box, or a PC Launch Loot Box. Setting off the (P) & (S), or the (X) & (B) Fireworks while playing on PC tells other players that you also playing TERA on Console, and would like to group up, if they're available. Setting off the (P) &(C) Fireworks says that while TERA on Console is cool, you're excited for new content on PC. Stuff like the last update, Counterpunch, or the upcoming Godsfall update. Remember that these TERA Celebration Tokens are only temporary, and any unused tokens will be removed from your inventory on Tuesday, April 10th during Maintenance, but you get to keep the Fireworks. And in case you're curious which platform has the most group friendly players, we'll announce the most chosen Firework box on April 10. Please refer to the guide located on This Page. 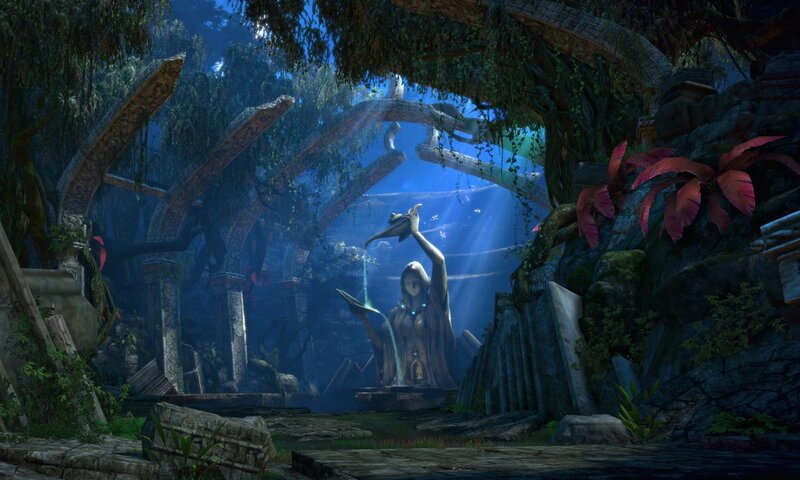 Starting Friday, March 30 at 4am PDT and continuing until Tuesday, April 2 at 4am we are highlighting Ruinous Manor. During this highlight, the Ruinous Manor and Ruinous Manor (Hard) Vanguard Requests will have special event bonus rewards, you'll earn increased drops from monsters, and an additional bonus jackpot for completion. Ruinous Manor (Hard) has double the chance of dropping a Smart Dyad Niveot Structure. A Sneak Peek, for any that are interested. April 1 Event - Caiman took some loots and we want y'all to take them back. Three different groups of Caiman took three different sets of loot. April 2 - 10 - Celebrate TERA as we take the fun-times to Consoles. On PC, we are sending a TERA Cerebration token to everyone that provides access to 1 of 3 boxes of fireworks to celebrate what you're the most excited for. That's something we are aware, and will work to put in. It is a Priority and was already reported in Open Beta. It only works that way because it is specifically in that Elite Menu. Elite is Account Wide, I believe... you don't claim that Mount, it's accessed through Elite Status window and can be added to your Shortcuts. Beta Names were Wiped, so maybe another player has taken the name you previously had used. There is a delay queue for the masks ( which means they are coming ), and Blue Angel Halo is on "Launch" which is April 3rd. Log out, clear Web cache, then try logging back in. Yes, you would get 2 of the Single-Use "Founders Status" titles to apply to the 2 character's of your choice. Hey Cobalt, I too would like to see a revised Alliance system. But I also feel the early Vanarch system had amazing potential as well. There is a delayed delivery queue that has formed. It should be delivered, but not exact ETA on when each player will receive it. Some mentioned getting it while logging in for the first time, while others mentioned it required a Game App restart. If you still do not see TERA, Founder's Packs, or EMP / Elite Status for TERA in your Console Platform's store after 8AM PDT today, it most likely means that the regional location for your Account's Profile is not in a location we are licensed to publish TERA Console in at Launch. Some locations may be added over time, but I cannot confirm which ones, or how soon that would be. For now, the best real option I can provide, is mentioning that some players here within the Forums have found ways to still access from locations where we didn't have a license, so if you want to access sooner than later, you can try checking for the workaround that was provided by those players. Did you try already closing the TERA Game App, then restarting it and check if Elite got applied ? Did the Elite Voucher get consumed after you obtained it / redeemed it ? PS4 NA might not be showing up for another hour and 12 minutes. PS4 EU should already be up in that Store, and available for early access. EU PS4 had an issue displaying the wording "Founders Pack" in front of all purchases, and it was not intended. We're working to get the wording corrected to display that standalone EMP and Elite purchases will not grant Founders. That feature may not be available in the Console version. I'll try to check later to confirm, but I didn't see it in Open Beta. I am spanish speaker and i have all in english. Where is that button? At the bottom of the screen, click "Español (México)"
I'll try to be better about provided info in both places. Can a staff member say when? I'll try to get an update, if I can on this. Would it be possible to transfer your character to a pvp server if you start on a Pve server ? I don't think that will be available directly at Launch, or even soon after, but I think it will be available eventually. Starting Tuesday, March 27th at 10am PDT through Tuesday, April 3rd at 10am PDT, receive a bonus reward of 30 Tera Reward points with each Guardian Legion turn in.